From May 18, 2014 to June 16, 2014 Jim From, Joe, and I had to move 45 daycab trucks and 6 flatbed trailers from Tracy, California to auction in Las Vegas, Nevada. That was the longest month in my LIFE! Two old men and one old broad got the job done in plenty of time for the “Detail Crew” at the auction site to get all the trucks washed, vacuumed, cleaned and spiffed up with Armor All. I don’t remember where we started, I think in Oklahoma. We had to deadhead, which means we had to travel about 1,500 miles just to get to the location in Tracy, California. Once there and hooked up we drove to Las Vegas, Nevada to deliver then deadhead all the way back to Tracy for the next loads. 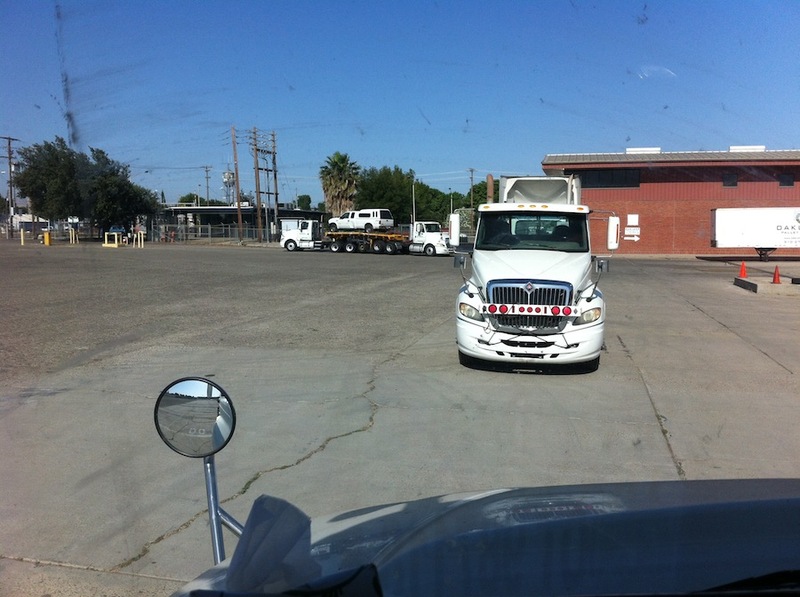 This entry was posted on Saturday, August 22nd, 2015 at 11:53 am	and tagged with 100% Deadhead, auction, California, daycabs, deadhead, Drive-Away, driveaway, flatbed trailers, Las Vegas Nevada, Nevada, Tracy California and posted in Drive-Away Transport. You can follow any responses to this entry through the RSS 2.0 feed. « Did you know a “Safety Check” of your truck includes the battery box cover? The whole time I was looking for my 18th x-wife but could not find any takers. I think it must have been the people I was hanging with that scared them off. Too bad the woman in Tracy, California at the Dennys already had a wife or she would have at least dated you.